Mt. 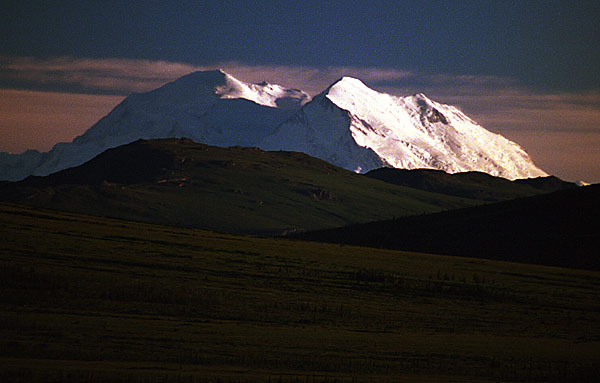 McKinley, North America's highest peak (20,320 feet) from the Stampede Road in Healy. While we rode the shuttle bus into the heart of Denali National Park, the weather was poor and we didn't see the mountain. However later that day (much later! this photo was taken at 10 PM), the clouds left, and driving a short distance from our cabin in Healy, we were able to see it clearly.